MP3 CDs make it easy to listen to hours of music without having to carry around a stack of standard audio CDs -- you can typically store 8 to 10 albums on one MP3 disc! To find out how to create your own custom-made MP3 CDs for use at home and in the car (if your stereo supports MP3 playback), launch Windows Media Player 11 now and follow the simple guide below. The first task is to make sure that WMP 11 is going to burn the right sort of CD. You'll need to check that the data disc option is set -- and not the audio CD one! Switch to Full Mode view if it isn't already displayed. This can be achieved by clicking the View menu tab at the top of the screen and selecting the Full Mode option -- if you don't see the main menu tab, hold down [CTRL] and press [M] to turn on the classic menu system. You can also do the same thing with the keyboard if you prefer by holding down the [CTRL] key and pressing 1. Next, click the Burn menu tab at the top of the screen to switch the display to CD burning. Look in the right pane to see what burn mode WMP is configured for. If it isn't already set for creating a Data disc, then click the small down-arrow underneath the Burn menu tab and select the Data CD option from the list. To make an MP3 CD compilation, you will need to select the songs in your WMP library to burn. To see all the music that is currently in it, click on the Music folder (underneath Library) in the left pane. There are several ways you can drag and drop files into the burn list (right pane). You can drag across individual files one after another, click and drag entire albums, or highlight a selection of songs to drop into the burn list. To select several tracks at once to drag across, hold down the ​[CTRL] key and click the songs you want. To save time, you can also drag and drop any previously created playlists you have into WMP's Burn List section. If you are new to Windows Media Player 11 and need to find out how to build up a music library, our tutorial on adding digital music to Windows Media Player will show you how. 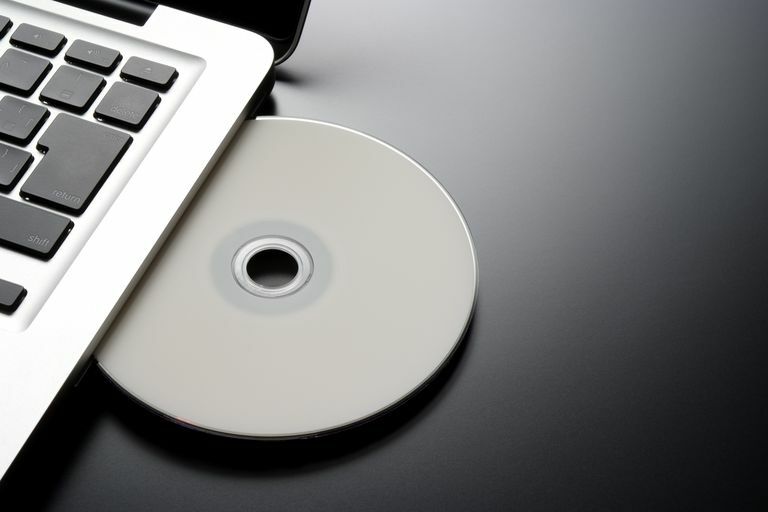 Insert a blank disc (CD-R or rewritable disc (i.e. CD-RW)) into your CD/DVD drive. When using a CD-RW that already has information on it, you can use Windows Media Player to erase the data -- but make sure there's nothing on there you need to keep first! To erase a rewritable disc, right-click the drive letter associated with your optical disc (in the left pane) and choose the Erase Disc option. A warning message will be displayed on the screen advising you that all information currently on the disc will be erased. To continue, click the Yes button. To create your custom-made MP3 CD, click the Start Burn button in the right-hand pane. Wait for the file writing process to complete -- the disc should be automatically ejected unless you have disabled this option in WMP's settings.